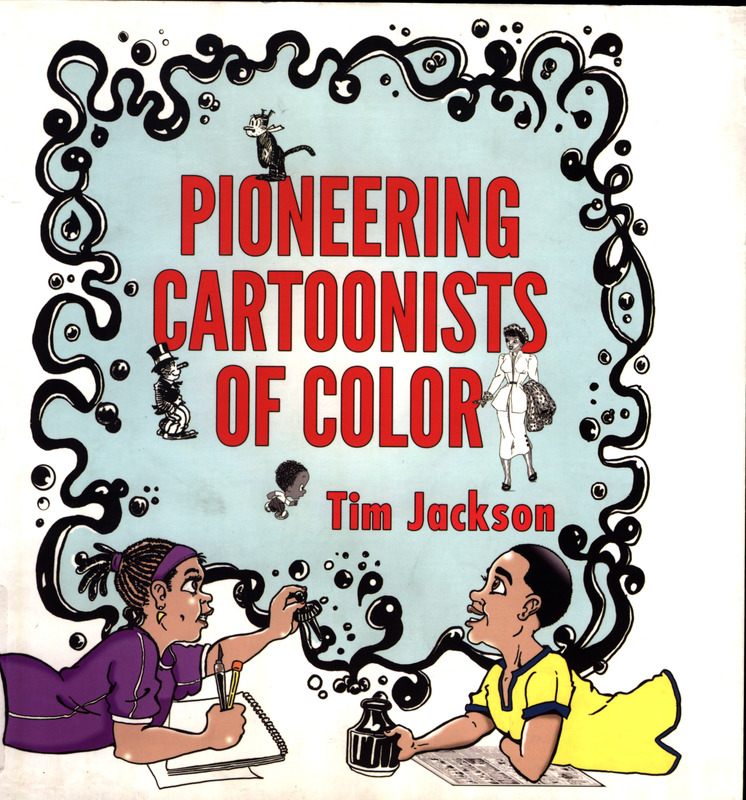 This fascinating book was born out of Chicago‐based syndicated cartoonist and illustrator Tim Jackson’s website, “A Salute to the Pioneering Cartoonists of Color,” where for many years he cataloged biographies of African‐American cartoonists and illustrators. In this volume, he gathers together 20 years of his work on the history of African American cartoon artists. He concentrates on the mid-1880s through 1968, the latter being the point at which he believes African American cartoonists and illustrators were accepted into the mainstream. This was as a consequence of the assassination of Martin Luther King, Jr. Jackson’s focused research led him to uncover a more inclusive history that reveals positive contributions of African American cartoonists and that includes positive representations of African‐Americans in illustrations, editorial cartoons, and comic strips. The book is organized by era and around pivotal moments, such as the Great Migration, race riots, and the Great Depression. Each section has short entries for over 70 comic strips, and there are images various works on almost every page. A short bibliography provides brief information about each cartoonist. If you’re a fan of comics and cartoons I highly recommend checking out this book. It’s an interesting way to learn about the history of African American cartoon artists and the works they created. This entry was posted in new stuff tuesdays and tagged cartoons, comics, pioneering cartoonists of color, tim jackson. Bookmark the permalink.